This is the sequel to exploring BlueCoat proxy logs. Having defined their structure I now proceed to analyse actual log content. 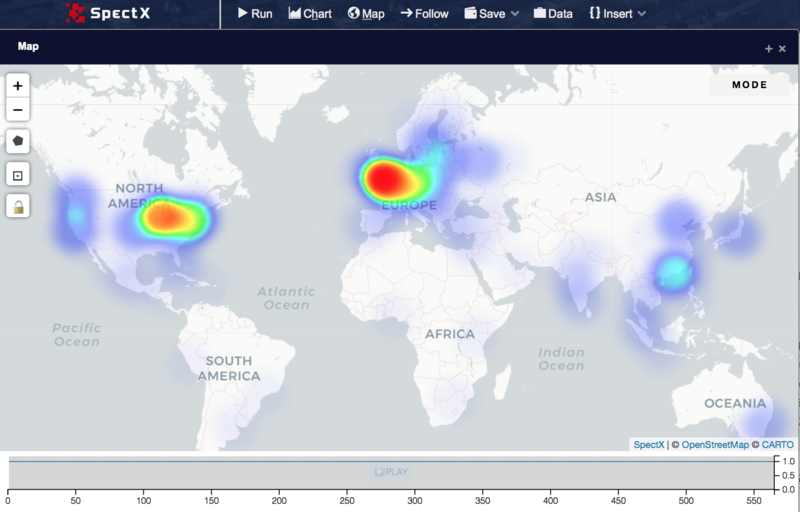 As my knowledge of the origin of these sample logs is limited, I'll try to extract as much information about the nature of proxy deployment, user behaviour and their geographical location. First, let's create a view of selected fields of interest (skipping the irrelevant ones). ,cs_host               //Hostname from the 'log' URL. ,cs_uri_path           //Path from the 'log' URL. Does not include query. ,cs_uri_query          //Query from the 'log' URL. Reading raw data from the local hard disk, extracting and transforming (parsing) all 4 log files (int total 2,6Gb) takes about 10 seconds on my MacBook Pro with 8 CPU cores and 16 Gb RAM. Not too bad but I can get the speed even faster by saving parsed results and performing further queries on that. On saved results, even the most complex queries only take a few seconds. Note that if the dataset had included live updated data, I couldn't have taken this approach. I have very little knowledge about the environment where the logs come from. I only know that they come from a lab (the Honeynet project) and they contain production (i.e live) and simulated (artificially generated) traffic. However, I have no idea how this BlueCoat proxy was deployed, what sort of clients are there, etc. Hence let's see what I can deduct from the logs itself. Sidenote: I'm mostly using the piped command style in the query examples. All of them could also be written in the SQL style. There's approximately a month of records (from April 4'th to May 7'th 2005). 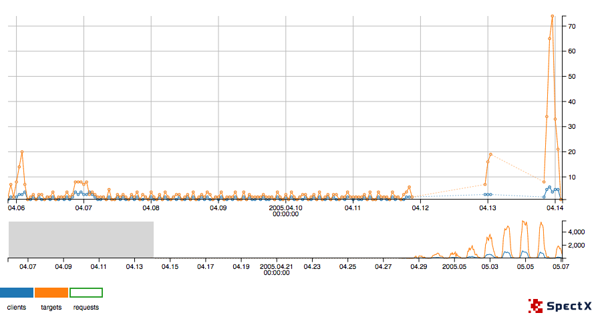 I can observe three distinct periods: first ~10 days (5'th to 14'th April) with very little traffic (a few dozens of hourly requests), then a period of complete silence from 13'th to 27'th April and finally the last 10 days with rapidly increasing traffic. 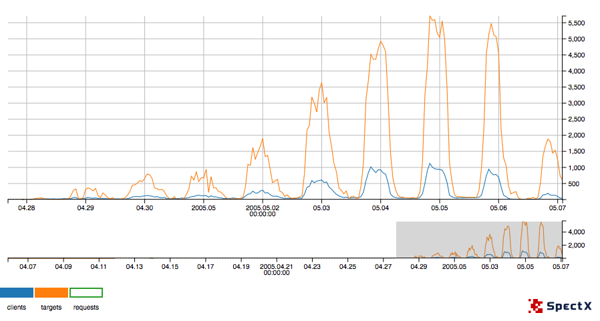 which gives us 0.98 - i.e we see a strong correlation between the number of requests and the number of different hosts. We can now safely rule out the DDoS hypothesis. Next, let's have a look at clients. Their distribution should give us some clue of how the proxy is set up. 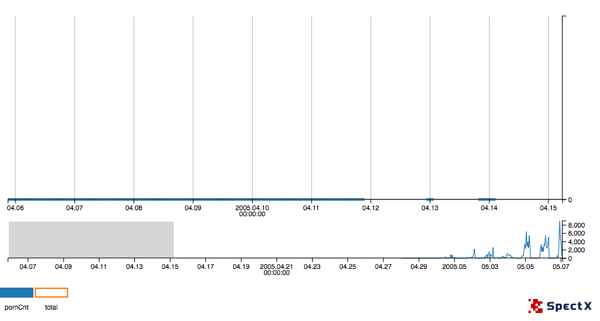 This looks very much like some setup and testing related activities: updating McAfee AV engine, virus patterns, downloading and applying operating system updates, setting up BlueCoat, etc. We get 0.98 again. Considering the quite high number of both clients and target hosts this looks like real live traffic. This is also suggested by the period of the waves on the graph: in GMT timezone traffic starts increasing at 1pm and dies off at 3am. It's weird that 98.4% of traffic originates from 45.0.0.0/8 range, which in 2005 belonged to the Interop Show Network - an annual trade fair for information technology organized by UBM (https://en.wikipedia.org/wiki/Interop). Coincidentally, the NetWorld(SM)+Interop(R) 2005 conference was held May 1-6, 2005 at the Mandalay Bay Convention Center in Las Vegas (https://www.businesswire.com/news/home/20041207005103/en/NetworldInterop-2005-Showcase-Largest-Assembly-Exhibitors-North). Did Honeynet guys set up their proxy to intercept conference traffic? 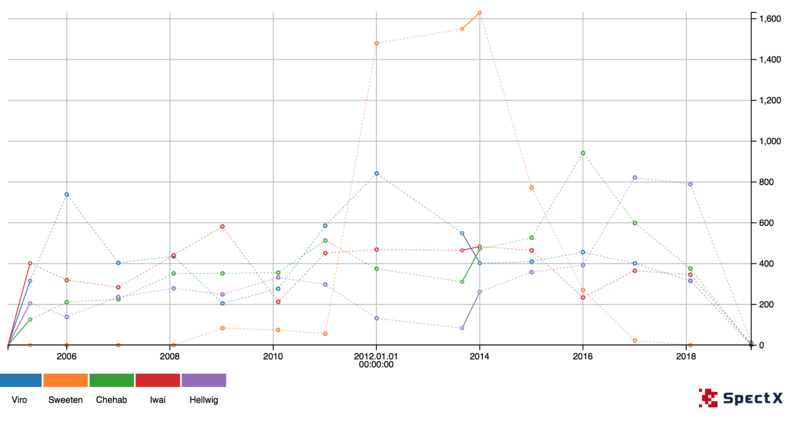 Requests graph @hourlyReq is computed with the timezone set to GMT, which gives us activity increase at nighttime. 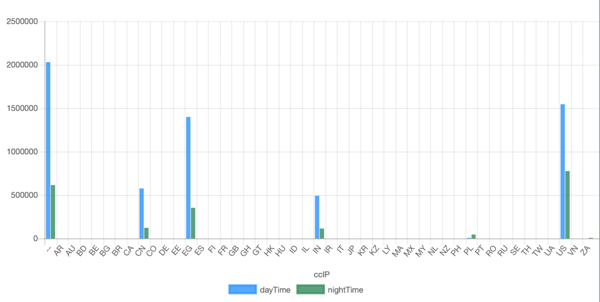 When changing timezone to PST (that's where Las Vegas happens to be), we observe activity starting to increase at 6-7 am and at 7 pm it has come down to a nightly level. There is also a distinct "saddle" around lunchtime. Looks like perfectly normal human behaviour to me. Yeah, 99% are from the conference. Still, we're only humans and this confirms the hypothesis of real live traffic. 25 different viruses identified. They make 0,002% of all requests, and half of them are not real virus infections but testing (EICAR test file). Which sites are distributing this stuff? 37 sites. And techlabs.bluecoat.com among them. How come? They're supposed to be a decent vendor and not a dodgy place to catch viruses. noisybear.cab - creation of Mark LaDue proof-of-concept malicious Java program (http://www.cigital.com/hostile-applets). Displays a picture of a bear emitting annoying noise. Used for testing AV detection, similarly to eicar. We can safely exclude it from real dropper sites. How many clients infected? With which viruses? When? The following query produces a list of client IPs with real infection attempts. In an enterprise environment setup, this would serve a good starting point for CSIRT team mitigation actions. The testing period is characterized by a relatively low number of requests (ten to a few hundred per hour) to a few selected sites, related to setting up the BlueCoat and antivirus detection engine, updating operating system (Win XP SP1). The silence period could mean the lab folks spending their time on setting up a surrounding environment for the live period. Finally, the "live" period is characterized with a rapidly increasing amount of traffic, peaking on 5 May at 260 000 requests per hour and then gradually decreasing. The number of requests, originating clients and target hosts is high enough to make the artificial generation very complicated and unlikely. The distribution of originating clients and target hosts very closely follows the traffic activity patterns. 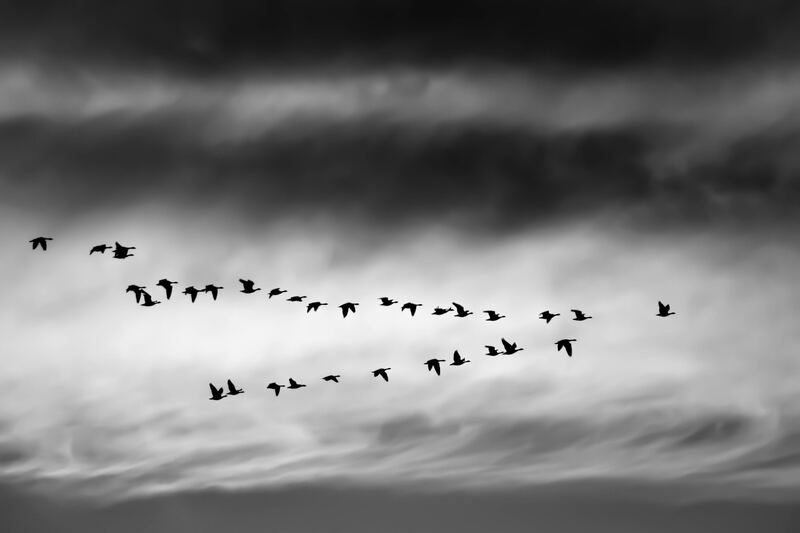 The activity patterns seem to match normal daily human activity: rapid increase from early morning hours, decreasing in the afternoon with distinct lower "saddle" indicating a lunch break between them. The timezone matching this pattern will place the originating activity to the US west coast (PST). Another aspect indicating human nature in origin of traffic is the presence of adult sites visits. Network analysis suggests strongly that the traffic is originating from participants of NetWorld(SM)+Interop(R) conference held May 1 - 6 at the Mandalay Bay Convention Center in Las Vegas. 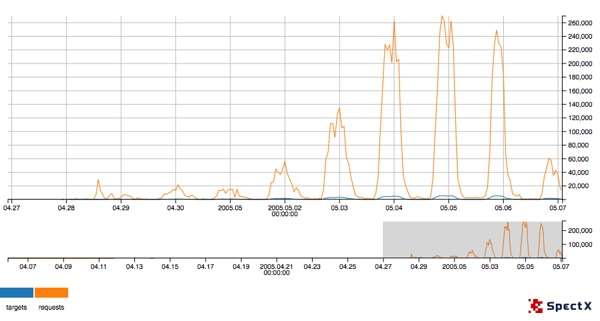 Observed virus infections were relatively low: only 0,002% of traffic relates to known viruses. Half of that relates to testing antivirus engines. From 3499 clients 49 were performing real virus downloads (i.e infection attempts). Playing around with Git logs can give you fascinating insights into a project. Whether it's analysing your own work or checking how someone else's project is doing, Git logs have it all. Sometimes all you need is a quick general overview, e.g. counting contributions per author. The next minute, you really need to dig into a specific time period (Fridays! ), look at a keyword or email domain. Zooming out and digging deep into Git repos is a walk in the park with the right tool - follow our lead. We’re back after the weekend in Helsinki, and the office is resonating with Disobey-stories ranging from audit daemon to parties featuring Borat-swimsuits. 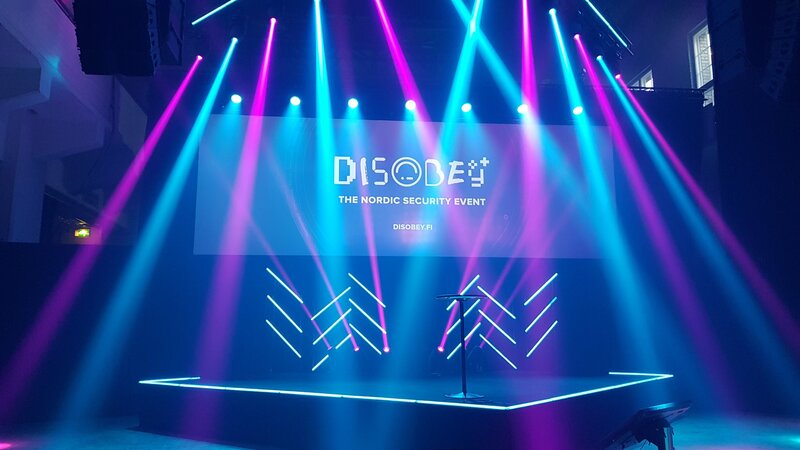 Rumours about this event being great reached us long ago but a sincere bow to the organisers - it truly is one of the content-richest and crowd-vibrant infosec events in the Nordic region. 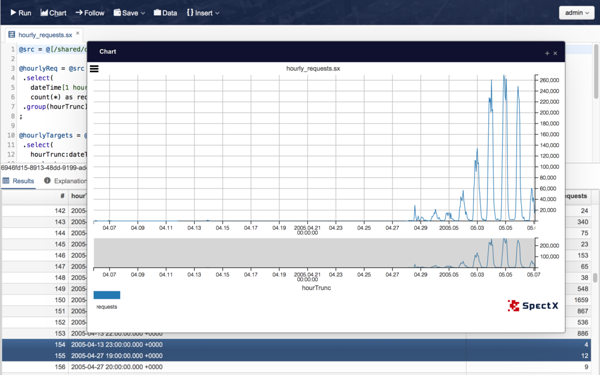 A flexible data parsing and analytics tool can do pretty much anything, especially if it's something you suddenly and urgently need. Like importing your Skype conversation history to Slack. Here are the release notes for SpectX v. 1.4 released on 7 September 2018. Featuring queries at anything that speak S3 but also at traditional SQL-databases. AD-support has been a frequently asked feature and is now live. Last but not least, in addition to charts, you can now launch map-visualisations based accurate queries on your datasets (pew-pew!). Get the SpectX free trial and try it on your own logs. No credit card required.